Fieldtrip: yachtbuilding at Royal Huisman | Helping the best to get better! After a very turbulent week I finally found time to update the blog. I believe that man is designed for moving on land, not on water, otherwise evolution would have equipped us with fins (there is a theory that it even took a few millions years to get rid of them, the aquatic ape-theory). So I never thought I could get excited about boats, and sailing has never had my attention until I gave a presentation about the rules of high performance for a team, VanVuuren Sailing Team, which last year won a silver medal at the World Championships Sailing in Finland. 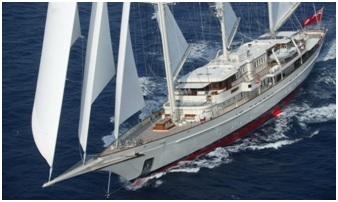 Recently I received an invitation to visit one of the best sailing yacht builders in the world, called Royal Huisman, a company that started building boats 129 years ago and since then has expanded to a 350 employee company. To be honest, I never heard of the company before. It is only an hours drive from my house. They gave us a grand tour through the company. The majority of the yachts we saw are somewhere between 40-60m long and the hulls are made of aluminium. We saw every part of the production process, since there were boats in different phases of production. Almost everything is produced in-house like building the hull, the masts, the interior, mainly wood in its own furniture department, the electronics, navigation, etc. Of course all these yachts are perfectly custom made. 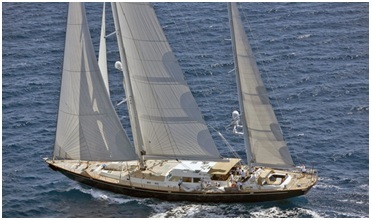 Famous yachts are the Flyer which won the Whitbread race in 1981, and the Endeavour which sailed the America’s Cup in 1989 and is a restoration from the original ship built in 1934. But also the Hanuman and the Twizzle are names of which the company is proud. 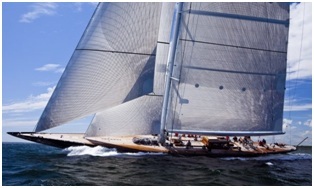 Unbelievable what a craftsmanship and perfection is needed and used to build yachts like these, nothing is left to chance. This unique company combines history, experience and craftsmanship with state-of-the-art technologies.